We have being praying for a spirit of repentance in all areas of life. First, for a week we sought the Lord in repentance in our relationship with God. Last week we prayed about our relationships in our family. Today and for a few days we will pray about how do we function together as a body of Christ-worshipping, serving and loving as one. Repent: Of ways in which we have rejected Godly authority; of presuming personal authority that does not line up with what the Word of God states about the order of authority in the church; of speaking evil of church authority and leadership. Meditate, pray and write down other areas for which you need to repent. •	Pray for God’s divine or order to be established in righteousness, truth and justice within the church and in our local congregations. •	For God to raise up men and women of integrity, faith and love to places of spiritual authority throughout the church and the city. •	Pray for Pastors and those in spiritual leadership. •	Pray that churches will become houses of prayer where we truly seek the Lord about everything. We have being praying for a spirit of repentance in all areas of life. First, for a week we sought the Lord in repentance in our relationship with God. Last week we prayed about our relationships in our family. Today and for a few days we will pray about how we function together as a body of Christ-worshipping, serving and loving as one. How do we handle the authority God has given each of us in the body of Christ? Do we walk in integrity and maturity of character? Do we exercise our spiritual gifts in love? Repent: Of walking in the world’s expression of authority rather than in God’s way of humility, servanthood and submission; of walking in self-proclaimed authority rather than in the authority that comes from Jesus Christ and according to his appointment or assignment; of trusting in personal authority, skills and power rather than in the power of the Holy Ghost working in us. Do : Meditate, pray and write down other areas for which you need to repent. 1. Praise God for the authority and power He has given to us in Him. 2. Confess the times you have substituted man’s knowledge and way of exercising authority for God’s vision and way for walking in authority. 3. Pray for forgiveness and understanding of God’s divine order and way for walking in authority under God first and then for those who God position us under their care and then authority in which God has given by assignment and apportionment by grace..
4. Pray for a release of godly authority for all believers to walk victoriously over the wiles of the enemy. 5. Pray for leaders and the body of Christ will walk in Christlike character that will encourage and edify others, rather than cause evil ways to seek into the body of Christ and discouragement. 6. Ask God to increase your fervency to seek Him in the exercise of your God given authority and in all things. 7. Pray that leaders in your church will not allow programs and strategies to become idols, replacing their ability to hear the heart of God. 8. Pray for greater discernment for false prophets and false doctrine and teachings in messages. Prayer should be a way of life for each of us-our lifestyle. Jesus told his disciples that man should always pray and not faint (Luke 18:1) and to pray without ceasing 1 Thessalonians 5:17). We should listen and talk to God all the time. Prayer is about a love relationship with God where we talk to him, but also listen ( John 7:16). The heart of prayer can be found in Jesus Christ who prayed often. Jesus found the will of God through prayer. Jesus often withdrew into the wilderness and prayed. Jesus heard from the Father in prayer (John 12:49-50. Jesus’ prayer life was full of variety- in the morning, on mountainsides , in a garden and more. He kneeled, and another time He was prostrate and another time he stood with His eyes fixed on heaven. Jesus is our prime example of prayer. Learn to pray like Jesus. What needs to be improved in your prayer life if you want to pray like Jesus? Pray:•	Praise Jesus for modeling a strong positive pattern of prayer. •	Confess any shortcoming in your prayer life that you are aware of by looking at the prayer life of Jesus. •	Pray that the Word of God will be the standard and motivation for all training. •	Pray for Christ to reveal Himself to those who despair, giving their heart-blazing hope by His Word. 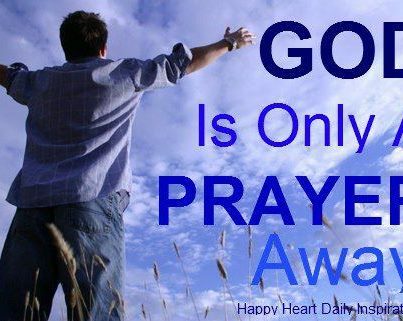 •	Ask God for grace to pray consistently with all kinds of prayers as Jesus did. Answer the reflection questions. Read and meditate on the Scripture passages for today. As you read each reference ask the Lord what he wants you to learn from the scriptures and to use in your own prayer life. We have been praying this week about our relationships with our family members. We must begin to deal honestly with negative and sinful attitudes and actions within our homes. God wants our homes to be demonstrations of His love to the world. A lot of what goes on in the home affects our children. Pray for forgiveness and grace to honor and give preference to our families and close relationships. •	Pray that holy honor for spouses, parents and children would be restored in our speech, attitudes and actions. •	Pray that the church would walk in love for one another without hypocrisy and out of a pure heart..
As we continue to pray and study about transforming our relationships in the home, we must begin to deal honestly with the sins within our homes. We want and God intended for our homes to demonstrate His love to the world. Repent: Of harboring unforgiveness and resentments against family member; of allowing petty disagreements to disrupt unity and love; of not demonstrating forgiveness toward one another; of justifying and excusing unforgiveness in ourselves. Receive: Forgiveness, as you forgive others, remembering that Jesus taught that :If you forgive men_________________. But if you do not forgive men___________(. Matthew 6:14-15, ( Fill in the blanks and Obey). Pray:•	Pray for forgiveness to permeate families and in particular your family. •	That the Holy Spirit would empower Christians to be the first to forgive. •	That our families would be free from the destructive power of unforgiveness and the damage that comes from holding on to past hurt or resentments. •	For the Holy Spirit will bring a wave of forgiveness in our city to soften hearts, penetrate barricades of fear and mend fractured relationships. •	That love would be released to cover a multitude of sins within families so restoration and healthy relationship might abound. •	Pray that parents will be diligent in disciplining their children and to train them to walk in forgiveness and obedience. Forgiveness in Relationships: What person in the family household do you need to forgive and /or to seek forgiveness and reconciliation? Pray and based on the Word what action must you take? Go to that wife, husband, mother, sister or brother and ask forgiveness or reconciliation. What relationships in your family do you need to show appreciation for and improve upon? Thank God for others in your family, congregation or circle of friends. Tell God the specific things about them for which you are thankful. Now tell them. What person(s) in the church household do you need to forgive and/or to seek forgiveness and reconciliation? Go to that sister or brother and ask forgiveness or reconciliation. The Word of God is powerful and is alive and therefore eating it everyday , believing and obeying it, coupled with the dynamic power of prayer ,will lead to life transformation in you and in your family if you do both together. “For the word of God is living and active. Sharper than any double-edged sword, it penetrates even to dividing soul and spirit, joints and marrow; it judges the thoughts and attitudes of the heart” .Hebrews 4:12 . “Prayer is the key that opens the storehouse of God’s infinite grace and power”. R.A. Torrey. The effectual fervent prayer of the righteous availeth much. James 5:16 . I pray that you and your family will strive together to study the Word and pray individually and together as a family. God wants household salvation, study and worship. Repent: Of failing to study God’s Word on a consistent basis; of failing to pray and seek God’s face without ceasing; of failing diligently to teach our children the Scriptures and the ways of the Lord; of neglecting the discipline and privilege of praying together; of failing to pray for each other; of neglecting individual and corporate prayer. •	Pray for forgiveness and a renewed hunger or God’s Word. •	Pray that you will grow in the spiritual discipline of studying and praying individually to seek God’s face. •	Pray for the family to desire to study and pray together and for fresh ways of studying and praying together as a family. •	Pray that you will talk to your children about God’s Word throughout the day. •	Pray for a desire for prayer to be stirred up within all your family members. Are your prayers all requests or do you spend time in praise, awe, and thanksgiving toward God? Do you recognize God’s voice in your life through His Word? Last week we looked at our relationship with God. Now we must honestly face the issues and sin we have in our homes. Let’s seek the Lord about our relationships within the home. Repent: Of not loving as the Word states especially within the household of faith and the family unit; of loving conditionally based on performance or expectations; of taking family members for granted and not showing appreciation or love to them. •	Confess to the Lord the ways you have not loved and honored family members. •	Pray that as a wife or husband you love your spouse as the Lord directs. •	Ask the Lord to do a work in your heart that will release you from any spirit, thought or unforgiveness that blocks your relationship with family members. •	Pray that parents will be diligent in disciplining their children and to train them to walk in obedience. What steps will you stake to reconcile with and /or improve upon the relationship? What relationships in the church household do you need to improve upon? Last week we looked at our relationship with God. Now we must honestly face the issues and sin we have in our homes. Let’s continue to seek the Lord about our relationships within the home as we did in Day 8. Repent: Of failing to submit to one another in the fear of the Lord; of not following God’s ordained order for the family unit; of lack of submission to God demonstrated by lack of submission to one another. Receive: Forgiveness and restoration of relationships of godly submission to one another. •	Confess your refusal to holy submit to one another as a husband, wife or child. •	Intercede for God’s Spirit to bring forth a revival of pure submission within our families. •	Pray for God’s divine order to be established within our families. •	Pray God’s blessing to be poured out upon families that follow God’s order of unity. •	Pray for God-centered relationships among family members. •	Pray for the restoration of God’s divine order of love and submission within the family unit. •	Ask the Father to teach you as a parent how to lead and train your children. •	Pray that parents will be bold to instruct their children in God’s way of living and lead their families to pray together. •	Pray that the Word of God would be applied as the standard and motivation of all training in homes. This is Day 7 of this 40 Day Journey to Life Transformation. I hope you have been daily meditating on the daily scriptures that apply to a specific focus, fasting and writing in your journal. It takes discipline and getting out of our comfort zone to look at the “man or woman in the mirror” and to repent. God wants you to seek His face in intimate communion, consultation, and listening. He wants you to intentionally seek His heart and voice in everything that you do. He also wants us to obey His Word. During these 40 Days you should want and God wants to see transformation in our hearts, mindset and lifestyle. The number 40 is a significant number. Biblically speaking 40 is a specific time period associated with a period of testing, trial, probation or chastisement. “The number 40 is a indication that God is ready to birth something new out of pain or challenge”. Kingdom Principles for Everyday Living by Stewart Perrilliat. It rained 40 days and nights , Moses was on the mountain with God for 40 days and nights, and the Israelites wandered for 40 years before they entered the Promised Land. Jesus fasted in the wilderness for 40 days and 40 nights in the wilderness before He began His ministry. Believe with great expectation that this 40 Day Prayer Journey will develop a more intimate relationship with the Lord, a casting off of “old garments” and a renewed mind and heart which will result in transformation in your life. Repent: Of professing a love for God without obeying His Word; of making excuses for not obeying His Word; of expecting blessing without obeying ; of persisting in known revealed sin. •	Ask the Lord to forgive you for the ways you have ignored His Word and disobeyed and followed your own way or the ways of the world. •	Pray for grace from the Lord to obey His Word. •	Pray for yourself and the church to be filled with a love for the Word of God. •	Ask God what more can you do to serve our church and community. •	Pray that our service would be God motivated, God centered and God ordained. •	Pray that the church will reach out on a greater level to the widows, poor and the less fortunate. If we really want life transformation and to speak out about the heart of God, then we must actually inquire of the Lord first!! We should expend extended time in His presence in “intimate consultation” ( Heal My Land: Journey to Transformation) until we truly understand what He is saying to you, to us, to the body of Christ. If we are to discover God’s plan for the transformation of each of us, our cities and the healing of the land we must inquire of him first. Repent: Of not inquiring of the Lord regarding what He desires, or the direction He would have us to go; and of not inquiring of the Lord regarding instructions and strategies for ministry; of doing what we want first and only inquiring when we get into trouble. Repent: Of the ways that you have made important decisions without first inquiring of the Lord. Pray:•	Worship the Lord who invites us into intimate consultation with Himself. •	Worship God as the only true source of knowledge. •	Confess to the Lord the ways you have neglected to inquire of Him, yet claim we are doing what He said do. •	Ask the Lord to teach you how to spend intimate time in His presence, growing in your ability to hear Him. •	Thank the Lord that in the name of Jesus you are welcome into His presence. •	Ask the Lord for wisdom and direction. •	Pray that the Lord will increase your ability to hear. •	Pray that God will teach you to ask Him for specific answers, and then give you the courage to wait for Him..
•	Pray that government and spiritual leaders will inquire of the Lord about spiritual and practical issues affecting our city. •	Pray that God will reveal His plans and purposes for your city to those who seek Him with listening hearts. •	Pray that for pastors and leaders will seek clarity in ministry by inquiring of the Lord in all things. Each of us should be seeking the Lord through prayer, fasting, and repentance- a process of heart-searching response to the Lord’s desire to commune with you and the body of Christ in order to lead to life transformation and action to carry out His Kingdom purpose. Take the daily steps even if challenging or they take you out of your comfort zone. Step out with great expectation. Throughout Scripture spiritual leaders called people to times of fasting and prayer when the need for transformation was recognized. I pray during this season you are taking the time to fast, pray, repent and reflect. Repent: Of clinging to anything or anyone other than Christ; of pursing worldly, fleshly affections; of following the ways of man and the world rather than the Lord; of inconsistency in pursuing the Lord and His ways. Receive: A passion for the heart of the Lord to replace the distractions of the world; attitude and love to follow the Lord; restoration of first-love passion for Jesus. •Pray for the church to become committed to become wholly devoted to the Word and to God’s purpose and will for the Kingdom. •	Worship the Lord as the One who invites us into intimate consultation with Himself. 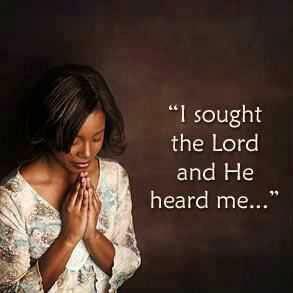 •	Confess to the Lord the ways you have neglected to inquire of Him, yet claim to speak for Him. •	Pray that ministry leaders and people in your city will desire to inquire of the Lord together for your city. •	Pray for those who are unemployed. •	Pray for Families: Pray for solid, God-centered relationships among family members; for families broken up by divorce to be healed.